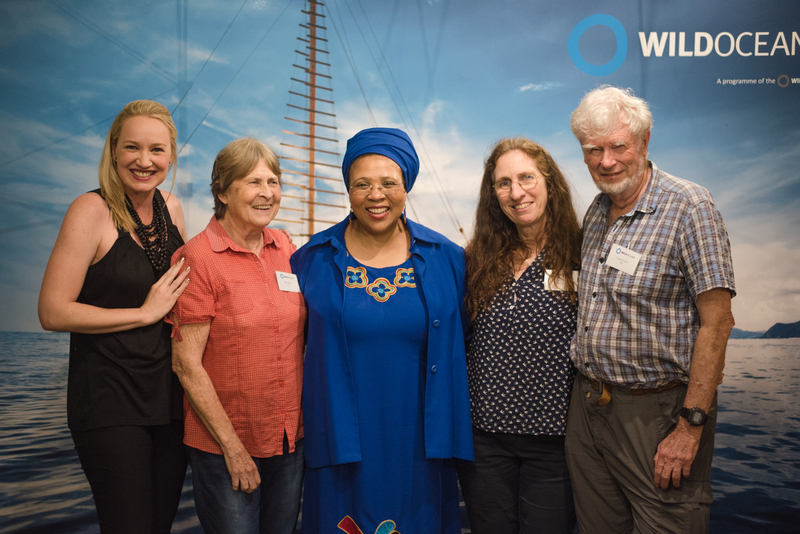 The youth shone a light on the importance of Marine Protected Areas with an evening of original poetry, inspiration and a spotlight performance at the WILDOCEANS Ocean Stewards’ Dinner on the Dock event held at Trawlers Wharf last week, launching a week of mentorship and career guidance. On the final day, following the previous days fun and interactive science communications training by Jive Media, the students participated in the closed round of FameLab heats which is an international science communications platform hosted by the British Council to assess the students on their ability to present and communicate their research. The council hosted a closed heat for the Ocean Stewards who went down from 28 participants to ten and were then narrowed down to 3runners up. The two top students, Merissa Naidoo who took first place and Njabulo Mdluli who earned second place, will be funded to attend the national round of FameLab heats as well as receive the Master of Science Communications training from the British Council where the winners from those rounds will go to the international fame lab stage. Third runner-up of the FameLab heats Ocean Steward and marine biology student Armstrong Gumbi said this years’ Science Sessions left him speechless, “From the time I first attended the science session I was mind blown because I didn’t know what was going around me and this year you left me speechless by bringing JiveMedia to us as a learning experience. Thank you ever so much to everyone working behind the scenes on our ocean steward family”.